Carla has over twenty years experience with non-profit organizations. Her primary expertise is in research, prospect/project, and information management, donor relations/stewardship and communications/marketing. She also provides prospect research training for researchers, development staff, board members and volunteers. Carla has identified major gift prospects for multi-million dollar capital campaigns, annual fund programs, special projects and ongoing development efforts. She has provided valuable, in-depth data on individuals, corporations and foundations for prospect rating sessions, board development sessions, program planning, solicitations, and special events. This information was completed utilizing investigative research techniques, and data mining from various resources. Carla’s research reports and solicitation strategies were particularly essential in the successful $130 million capital campaign for the Smithsonian’s National Air and Space Museum. These endeavors resulted in a $60 million pledge, enabling the campaign to be announced six months ahead of schedule. Carla also assists non-profits in meeting their financial goals by increasing their prospect pools. She has identified major gift prospects, potential board members, and program donors from in-house sources such as staff prospect rating sessions, screenings, annual fund donor records and event attendance rosters. 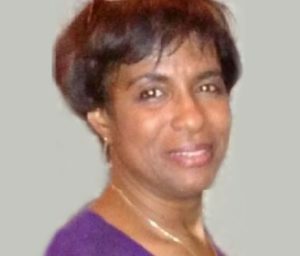 Carla is also a principal with Kamla Consulting, LLC whose services include GDPR, project management, privacy, security and risk management. Carla holds a Bachelor of Interdisciplinary Studies in Business Culture and Managerial Communications from Georgia State University.